Google just received a lovely jubbly 2.42 billion Euro fine from the EU antitrust regulators, ouch!!! 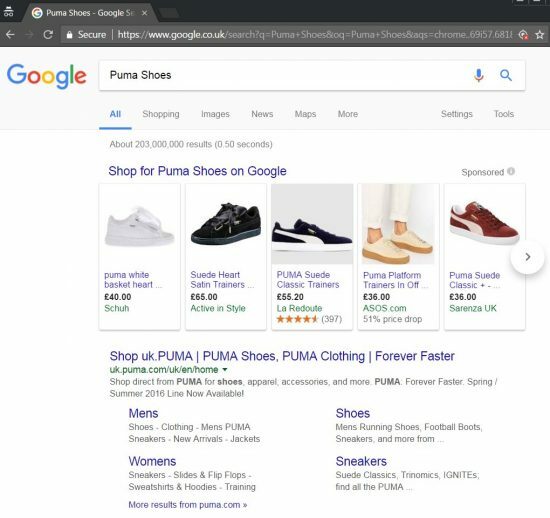 The evidence suggests** Google has manipulated the organic search engine results to demote rival comparison shopping sites so Google Shopping gets more traffic. ** Suggests because correlation does not necessarily equal causation, Google clearly takes advantage of it’s dominance in organic search by plastering it’s search results with Sponsored Ads (see screenshot below, many ads are to their Google Shopping Comparison Site) which is more than enough reason for the EU antitrust regulators to intervene. However, is Google manipulating the organic SERPs for a competitive advantage or is it many comparison sites (the competitors) are thin on unique content/added value? Google has been clear over the years it dislikes thin affiliate sites (sites that offer content copied from stores like Amazon with affiliate links and no added value content) and many comparison sites aren’t much more than thin affiliate sites, some have been rightly downgraded and even banned from Google. I’ve experienced this problems myself, I used to have an Amazon thin affiliate store and it sold over $400,000 worth of Amazon products (see screenshot below) before Google pretty much banned it overnight. Had Google not added what amounts to a thin affiliate content penalty I could easily be a multi-millionaire by now from just building hundreds of search engine optimized thin affiliate sites (really easy to build). 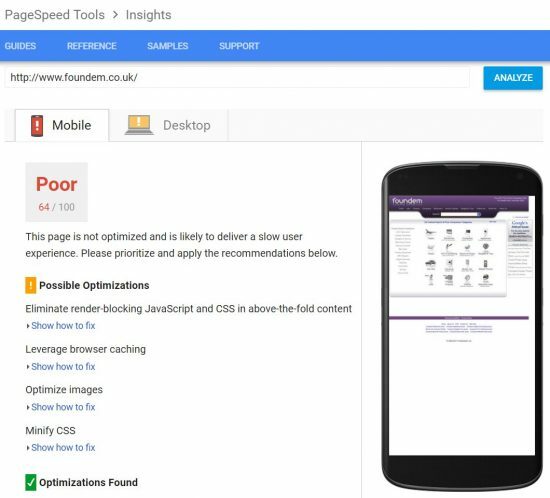 Anyway, I find it interesting some comparison shopping sites like Foundem are crying foul, so I thought it would be worth looking at Foundem’s websites on-site SEO to see if there are other SEO reasons for poor rankings. I did this a while back for Amazon, Amazon’s on-site SEO is rubbish, it’s leaving a LOT of money on the table due to quite basic SEO mistakes (they are stuck in the late 90s SEO wise). Although it doesn’t throw out a not mobile optimized warning, the home page is not mobile optimized. All it does is resize to fit a mobile device, what you see in Desktop view is what you see in mobile, only smaller (see screenshot, that’s not mobile optimization)! I also checked Foundem in a mobile phone and it looks like the above, you can’t easily use Foundem on a mobile phone. That’s a huge SEO negative for ranking in Google’s mobile search. Some of the things listed are relatively easy to fix, based on Foundem are accusing Google of manipulating results, the least they could do is fully optimize their code so Google doesn’t have a good reason to downgrade them! Let’s have a look at Foundem’s code, specifically looking for SEO mistakes. For the record although everyone calls it the title tag it’s not a tag, it’s an element, so should be called the title element. 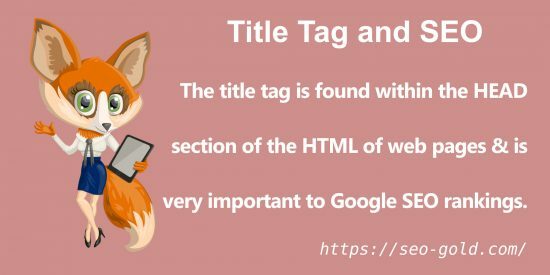 The title tag is one of the most important SEO aspects of a webpage, you must get it right. That’s a keyword stuffed title tag, Amazon makes a similar SEO mistake, by not concentrating the title down to one or two specific SERPs, you tend to gain none of the SERPs (watered down SEO). See my Amazon SEO Review (“SEO Title Tag Checks” section) for why this is an issue. The meta description tag has no Google ranking value (won’t get you higher in the organic listings: consider it ad copy), this one is a little keyword stuffed and not very good ad copy: would you click this if it were an ad? 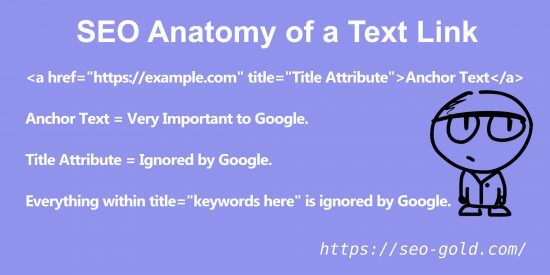 The meta keywords tag has no Google ranking value, Google has always ignored it, no point using it. The logo is an image served via CSS with a semi-hidden text link behind it. Nothing wrong with this approach per se, BUT the first link (in the code) back to the home page lacks anchor text or alt text! That’s REALLY bad SEO wise, it should be a relevant short phrase like “Foundem Price Comparison Shopping site” (I haven’t done the keyword research for the right SERPs to target, so educated guess). Currently the text link has no anchor text (or alt text) so passes no anchor/alt text SEO value back to the home page! There’s a dead link (2nd link in the code) to http://fwd.five.tv/videos/christmas-shopping, never a good start to have links to stuff that’s gone. Images should all have optimized alt text (alt=”Your RELEVANT and Optimized Phrase”). The alt text tends to be poorly optimized. This is bad SEO wise. Do NOT keyword stuff your images alt text. Anchor Text = Very Important to Google. Title Attribute Text = Ignored by Google. 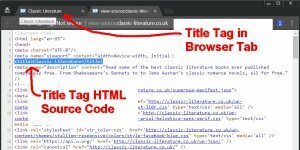 Everything within title=”keywords here” is ignored by Google. It’s quite funny really, for example we have an image/text link combination (a clickable image link with anchor text as well) which links to the Electronics section. Firstly the HTML code is poorly formed, note the lack of speech marks around some attributes (height and width), this is sloppy HTML coding and is repeated throughout the HTML. Although unlikely to cause SEO issues, some sloppy coding can have dire SEO results, check your code, be consistent. Link goes to a page about Electronics: specifically a page with links to other sections of the site like TV’s, Cameras etc… basically a links directory (not high quality). As you can see from the screenshot above the Electronics Comparison Shopping page itself is very low on content, it’s just links to other parts of the site. Pages like these tend not to rank particularly well in Google: not much value to Google users, a users hits the page and must click another link to find actual content. Anchor text is “Electronics”. That’s OK anchor text, but could be better since the page linked to is about Electronics Comparison Shopping, so we could have better optimized anchor text. Trying to target a single keyword SERP like Electronics is HARD, you need a LOT of high quality backlinks to target a SERP like Electronics, better to target a multiple phrase SERP (unless you have the backlinks profile). A 1 pixel by 1 pixel image with file name “b.gif” (it’s a white dot) with blank alt text (alt=””). Since the image is part of the site structure rather than an image per se having blank alt text (or alt=”*”) is the right choice. However, there is an image (of a TV) associated with this link (via CSS, didn’t check, but must be a background image) and because it’s loaded via CSS it can’t have alt text, Google can’t see it (missed SEO opportunity). 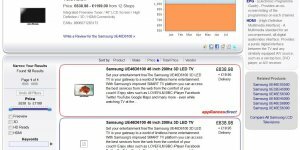 We then have a title attribute within the text link: title=”Search multiple sites and compare prices for electrical products” which has clearly been search engine optimized, but Google ignores it COMPLETELY, so this text has no SEO value. 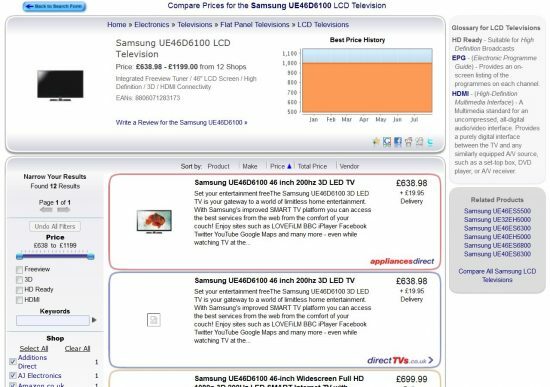 Notice a pattern, lots of “Search multiple sites and compare prices for …..”. All the above text and more (all the text within title=””) is completely ignored by Google. All Google sees is a single word for the anchor text (Electronics) and a blank alt text attribute. The home page is in effect just a list of links to other parts of the site, there’s no value to a user to land here from a Google search. Land on Amazon’s home page and there’s actual high quality content, land on Foundem’s and it’s a list of internal links, the content is THIN! The site is filled with basic SEO 101 mistakes, I see this on so many websites it’s annoying. The only way for these sites to compete in Google is masses of backlinks with relevant anchor text. 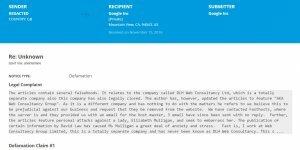 In March 2012, we suspended parts of our service pending the outcome of the European Commission’s antitrust investigation into Google’s search manipulation practices. We have now reluctantly taken the decision to temporarily suspend all remaining aspects of our service. I used the WayBack Machine to view the old (2011) content. 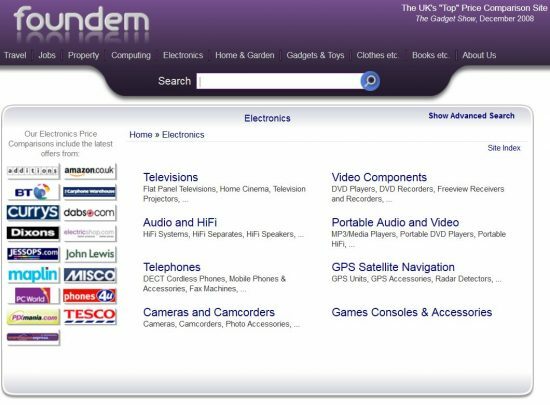 The Foundem comparison shopping site is low quality thin affiliate content with the ability to compare prices (nothing special). Didn’t see any added value beyond comparing prices. Not surprised Google downgraded it, it’s only marginally better than my thin affiliate sites (mine lacked price comparison features). This is Matte here. I am specialist in digital marketing. Highly skilled in SEO, Social Media Management, PPC and content creation and content marketing. Organic search traffic is available to your website all day, every day, for the entire lifetime of your business, so it makes sense to think of SEO as an investment in your company’s future – the more ‘search real estate’ you own, the easier it becomes for more potential customers to find your business. Let me know if you need anything else. I would love to assist you more! If you are a “Specialist in Digital Marketing” and “Highly skilled in SEO, Social Media Management, PPC and content creation and content marketing.” why are you comment SPAMMING an SEO experts site known for trashing SPAMMERS? OK, let’s see what we can find out about “Matte Smith A Specialist in Digital Marketing” and review it. According to your IP address you use “Siti Cable Network Ltd” to connect to the Internet: India based? Your Gmail email address (which I won’t post here) led me to a Twitter account @MattesmithC registered in May 2017 (two months old) with no profile image, no Twitter header image, no user bio info, no tweets: following 93 accounts, followed by 23 accounts. Not much of a Twitter expert which is part of Social Media Management Matte. Let’s do some Google site searches, just pop the lines below into a Google search. What we are doing is searching through an entire domain for the name “Matte Smith”: I’m making the assumption you use your name for anything you post (if not, what name(s) do you post under and how is a potential client meant to find your content to judge quality?). – No Results: there’s a Matt Smith, VP of Marketing Services at Best Buy (not you). – No Results: there’s mention of a Matt Smith (not a site contributor). – No Results: it’s managed by a Michael Kirst and has content from lots of authors, if you’ve posted there, it isn’t your Blog and you haven’t used the name Matte Smith. This is Matte here. I’ve worked in the SEO industry for many years and have specialised in link-building for the last 7+ years. 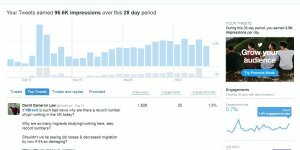 I am known as a creative, highly analytical and reliable professional who works at the complex, challenging and strategic end of digital marketing to help promote your business growth. Quality content in every form drives traffic and underpins social media. Google also promotes websites with quality output and rewards social signals. So what are you waiting for? We can help you achieve your goals for 2017. Feel free to get in touch, whether you just want to connect or if you need help with a certain project or job. The telephone number posted is California based. site:http://lasplash.com/ “Matte Smith” – No Results – a Matt Smith is mentioned, but he’s an actor. If you’ve been working in SEO etc… for years you should already have a mature set of sites and social media accounts, you haven’t even associated a Gravatar avatar with your Gmail email address you SPAMMED my article with. 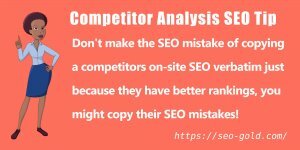 Since you don’t have a mature SEO profile it suggests you started offering SEO services recently and would cause more harm than good. I suggest you spend a couple of years learning about SEO and social media marketing, whilst building your own site network (at least one domain you own) and social media profile. When you actually have some skills and experience, then offer SEO type services. It amazes me how many people think it’s OK to call themselves SEO experts etc… when they don’t even own a single domain to safely practice on! 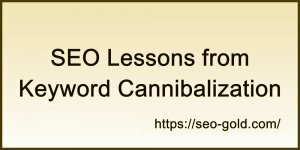 I’ve destroyed dozens of domains (banned by search engines) testing various SEO techniques and theories, pushing the limits of SEO to see where Google etc… breaks (find the breaking points, keep significantly away from them on important sites). The idea of letting someone access to a sites SEO without understanding the limits is scary!! !